This one goes straight to heaven. 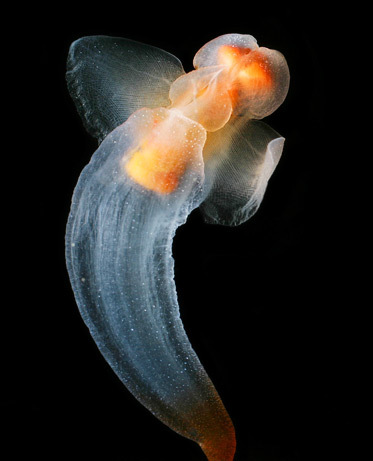 Behold the Sea Angel. A gorgeous, otherworldly creature seemingly made of gossamer and light in equal parts, gracefully beating its wings as it soars through waters deep. Then you realize it’s actually a snail without a shell. Now it’s a creepy animal. Congratulations. Oh, you missed out. Forget the fact that it’s a snail- this tiny, beautiful creature has a long tongue it uses to stab its prey!